Europa Universalis II invites you to a global struggle for supremacy from the dark times of Jeanne D'Arc to the flaming wars of Napoleon. As the leader of a country you have to guide domestic and foreign policies. Engage in religious struggles, set up expeditions to claim the New World, lead your country to prosperity and victory. Send your Privateers to roam the seven seas, muster mercenaries to bolster your defences, and send missionaries to convert infidels to your State Religion. Interact with true historical events and persons to determine which path your nation will take in the game. The new game includes an elaborate and expanded system for diplomacy, trade, military might and development. It also includes new graphics, music, sound, manual and a new tutorial system to lower the learning curve. 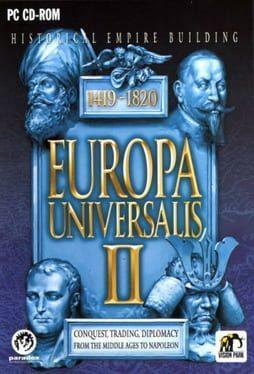 Europa Universalis II is available from 9.49 to 9.99 from 1 shops.